Exciting idea. Ties into the Austin, Texas, idea called Plug-In Partners. 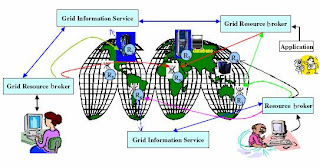 Electranet, a decentralized "smart grid" that would allow anyone to set up their own generator and trade in electricity. Despite resistance from utilities and sluggish state bureaucracies, the groundwork is developing for newly designed distribution grids. California has moved to decouple utility revenues from sales. Customers can now get credit for generating their own solar energy. Perhaps as soon as a decade from now, with changes already beginning. Developments in California lead the nation. - Digitalization of the electricity grid is overdue. Such a “smart grid” would eliminate the need for new-generation plants, spark widespread use of renewable energy and, ultimately, beat back global warming. - A system that allows your dishwasher or refrigerator to sense changes in the power grid and automatically reduce electricity consumption, or let homeowners see how many kilowatts of electricity they are using at any given minute and adjust their use accordingly is a system that allows greater efficiency and conservation. - Flexibility in the grid will allow the development of renewable but potentially inconsistent energies such as solar and wind. - "In the same way the Internet took off and stimulated the information revolution, we could see a revolution all across this country with small-scale generation of electricity everywhere," Gore told a House committee on climate change last week. - "What Gore is talking about is not fantasy," said Joe Ramallo, spokesman for the LADWP. Remember: recycling is a GOOD THING, despite these attempts to find a "sensational" or "dark" side to the drive to save energy and cut greenhouse gas by expanding the use of the new light bulbs. Consumers, in cooperation with U.S. regulators, manufacturers, scientists and environmentalists. Retailers such as Wal-Mart and IKEA. Mercury, a necessary but toxic part of most compact fluorescent lightbulbs (CFLs). Commercial recyclers and some municipal waste collection services accept used CFLs, as do some retailers. Advocacy groups are calling on other big chains to participate. Special curbside collections by municipalities, mail-back programs by manufacturers and drop-off programs at various places have also been proposed. CFL sales are currently booming. It is estimated 150 million were sold in 2006. Wal-Mart alone expects to sell 100 million in 2007. Scientists and environmentalists fear the used bulbs are ending up in garbage dumps. The average CFL contains 5 to 6 milligrams of mercury. Some are less, between 1.23 and 3 milligrams per bulb. But cumulatively, at waste disposal sites, this represents a risk of toxic contamination. On the other hand, there is a cost of between 20 and 50 cents per bulb involved in recycling. - Larry Chalfan, executive director of the Zero Waste Alliance environmental group, said the value of the metal, glass and mercury reclaimed from recycling fails to offset the cost of the process. "Someone has to pay," he said. - But, compared with the overall lifecycle cost of buying and using a bulb, recycling would be less than 1 percent, said Paul Abernathy, executive director of the Association of Lighting & Mercury Recyclers, "a small price to keep the mercury out of the environment." - "I have CFLs throughout my house," said Lindberg, who lives in California. "None of them have burned out yet. I can't tell you what I'll do with them when they've burned out, but I won't throw them in the garbage." The canary in the coal mine. 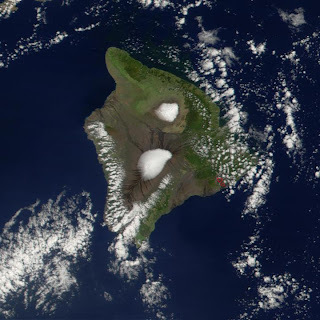 - "The de-seasonalized, postindustrial trend in added carbon dioxide has been increasing exponentially, with a doubling time of about 32 years," according to a NOAA report on global CO2 measurements. 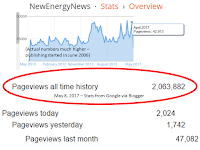 First the Journal acknowledges the genius of plug-in hybrids and Austin's Plug-In Partners program and then they acknowledge the genius of NewEnergyNews. Smart people over there at the Journal. 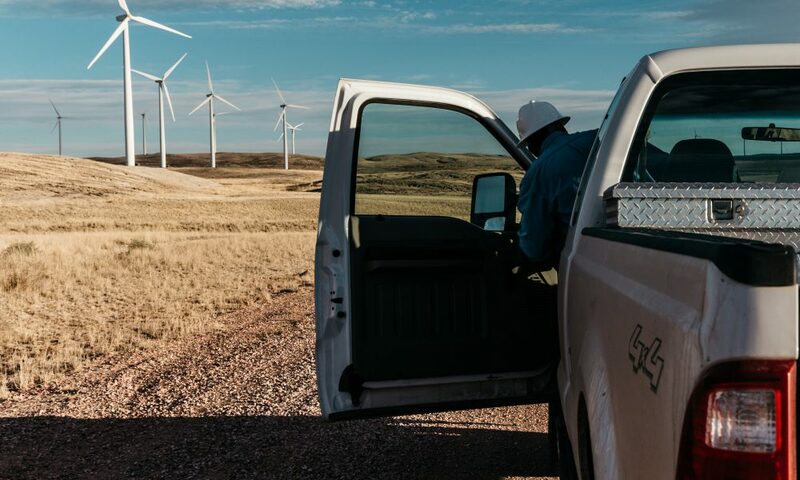 Austin Energy, the city’s award-winning utility company, and Roger Duncan, its charismatic deputy manager, are championing the plug-in hybrid auto as a method of expanding the capacity and economic viability of its wind energy resources. Austin Mayor is now on board with the plan and the city has launched Plug-in Partners, a campaign to commit residents to the purchase of the combination electric/internal combustion engine vehicles as soon as they become available. To date, 8000 Austin residents have committed to do so. - The idea of tapping the electricity stored in car batteries—called vehicle-to-grid power, or V2G—originated with electrical engineer Willett Kempton in the late 1990s. Optimistic forecasts are for plug-in hybrid vehicles to be widely available within 3 to 5 years, though they are currently available to the ambitious. 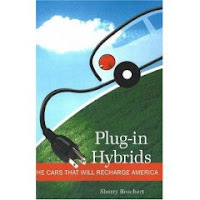 More information on plug-in hybrid vehicles here. For Austin to install the necessary infrastructure to complete the V2G scheme requires more time. 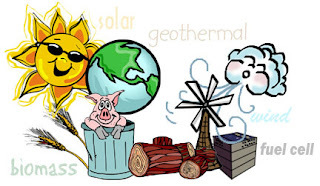 - The effectiveness of renewable energies such as wind and solar is limited by their periodicity: Solar is only available during the day and sometimes the wind does not blow. 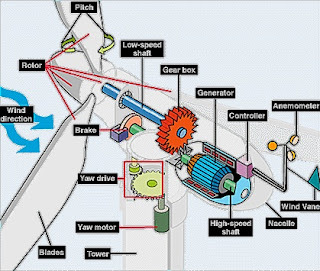 Because it is not economic to build monstrous batteries, there is no efficient way to store these energies when it is being produced, nor any way to get energy when the sun or wind is unavailable. 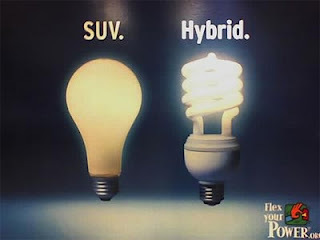 - Plug-in hybrid vehicles can be engineered to download and hold electricity. A city full of them becomes a network of energy storage units, though the city would have to be wired to allow the vehicles to plug in ubiquitously. Because the average vehicle is only driven three hours a day or less, if it is plugged into the network the other 21 hours of the day it can hold energy generated by a utility from sun or wind until it is needed and then give it up to the network grid. On-board computers, working in conjunction with a utility’s centralized controller, can make sure the vehicle retains all the charge in its battery required by the driver. - “Developing the plug in battery ‘is the biggest show stopper, if you want to call it that,’ says Ahmad Pesaran, a battery expert at the Energy Department’s National Renewable Energy Laboratory. Posting from the Petroleum History Institute's annual oil history symposium in spectacularly gorgeous downtown Long Beach, CA, this story seemed like an obvious choice. 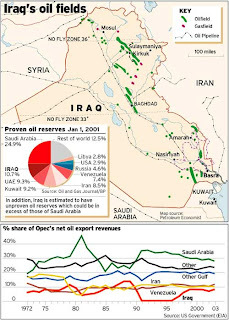 The OLD Seven Sisters: Standard Oil of New Jersey, Royal Dutch Shell , Anglo Persian Oil Company, Standard Oil of New York, Standard Oil of California, Gulf Oil and Texaco; The NEW Seven Sisters: Saudi Aramco , Russia's Gazprom, CNPC of China, NIOC of Iran, Venezuela's PDVSA, Brazil's Petrobras and Petronas of Malaysia. As designated by Italian energy magnate Enrico Mattei. Today’s titans, a whole new group of key global oil and gas companies selected recently by the Financial Times, are largely state-owned companies from the emerging world. The still extant descendants of the OLD Seven Sisters are ExxonMobil and Chevron in the U.S., England’s BP and Europe’s Royal Dutch Shell. They produce only about 10% of the world's oil and gas and hold just 3% of its reserves. The International Energy Agency [IEA] calculates that over the next 40 years, 90% of new energy supplies will come from developing countries. 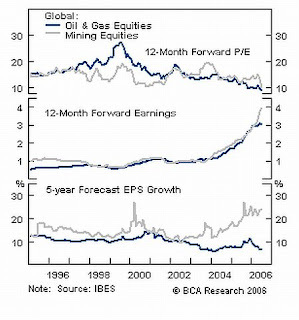 These National oil companies are largely from the emerging world and developing countries. The FT ranked them on the basis of resource base, level of output, company's ambition, scale of their domestic market, and influence in the industry. The New Seven Sisters control about one-third of the world's oil and gas production and reserves. 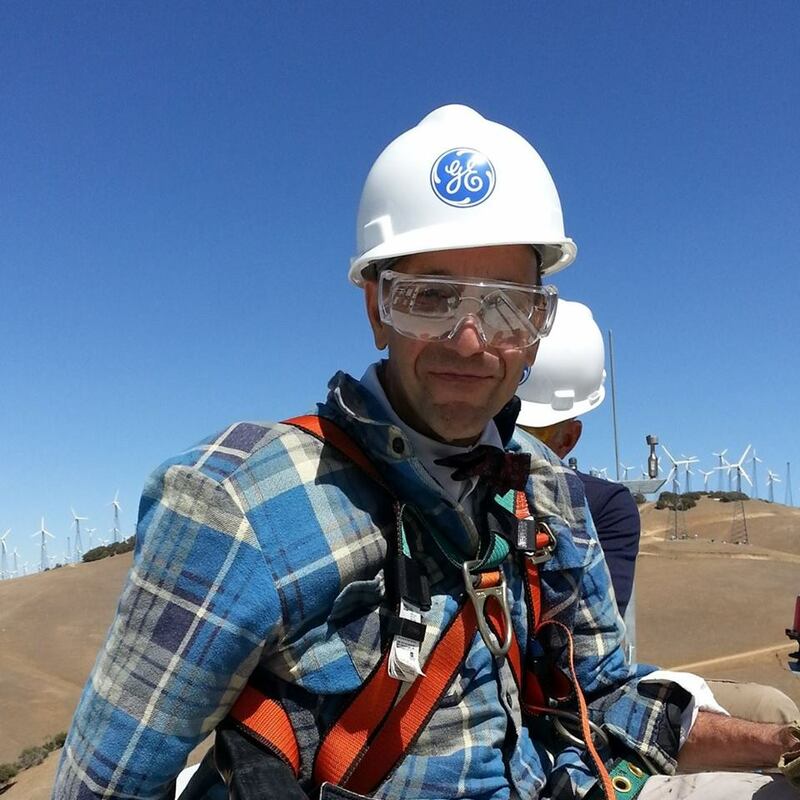 Testing of the next generation Northwind turbines, which stand about 150 feet off the ground and generate about 100 kilowatts on average. Presently being sent for testing. 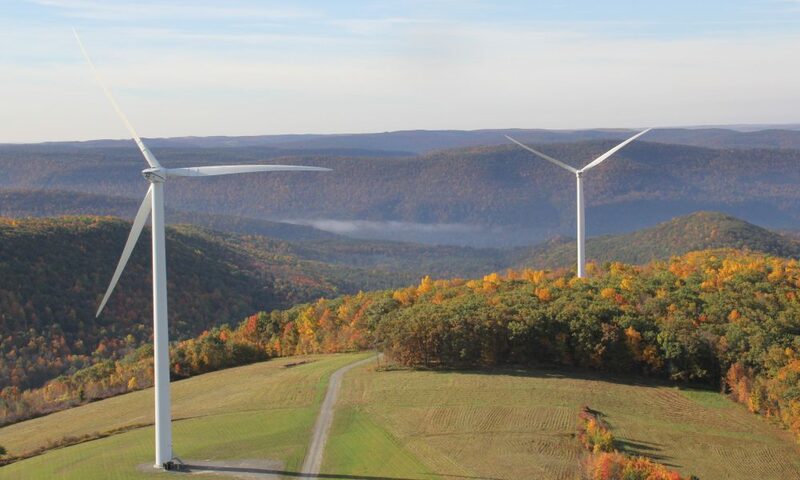 The turbines, designed and built at Northern Power in Barre Town, Vt., will be shipped to Golden, Colo. to the National Renewable Energy Laboratory. The Northwest turbines are specially designed to accommodate small villages, farms and rural areas that are too remote to be connected to the grid. The new design is smaller and uses less materials so its more cost competitive at between $250,000 and $350,000 per unit. The turbines are used to produce electricity for households as well as to power water treatment facilities. 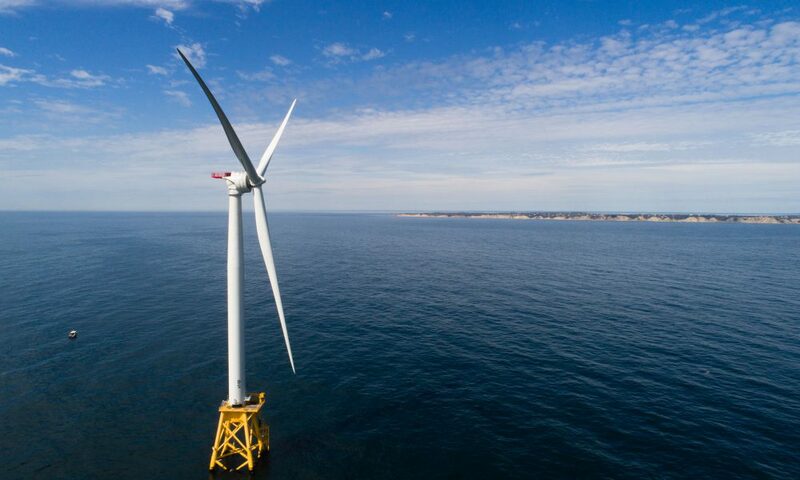 Craig Giles, product manager at Northern, suggested the turbines could be used to offset up to about 50 percent of diesel use in places like the islands off South Korea's shores, or Alaskan villages. More American college students are choosing courses on clean energy technologies and environment-related subjects. According to Professor Kammen, there has been a significant and noticeable enrollment increase in these fields in the last two years. UC Berkeley, Stanford University, Middlebury College, Harvard University, Dartmouth College, Williams College, Illinois State University, and the University of California at Davis, among many others. Students see venture capital moving to companies and jobs developing renewable and alternative energies. Projects such as nanotech solar cells and biofuels generated by enzymes and termites win funding. These young people see an opportunity to prosper and do good. - "Students see an opportunity for challenging jobs and a way to do some good for the planet," Dan Kammen, an energy professor at the University of California at Berkeley, said. 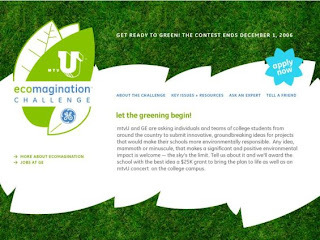 - "The environment is incorporated into every aspect of the world. The program gives you the opportunity to consider environmental consulting or working for alternative energies or corporate social responsibility," [Daniela Salaverry, a Middlebury grad who works on environmental programs in China for San Francisco-based Pacific Environment,] said. A hint of which way the winds of commerce are blowing? 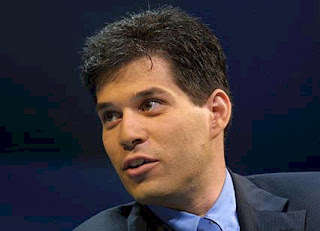 The man once expected to take over SAP has left the software maker to initiate projects in clean technology. His resignation will take effect at the end of the week of March 26-31. SAP corporate HQ is in Germany, a world leader in alternative and renewable energies. 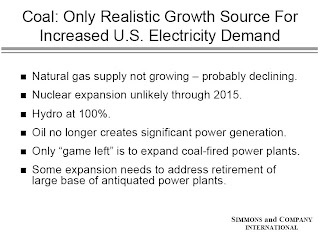 Agassi's peers at SAP expect him to form an alternative energy start-up. SAP recently extended the contract of CEO Henning Kagermann. Agassi had expected to be promoted to that position. "I look forward to new opportunities, and working on issues that are important to me, including alternative energy and environmental policy issues, as well as the future of Israel," [Agassi] said. Thanks to Mark Gongloff of the Journal for notification. 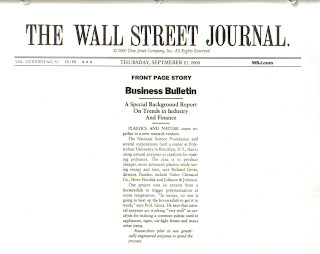 The Wall Street Journal's On-line Blog Roll column. Honored to be in the company of the other sites. Honored to be mentioned by the venerable Journal. Will keep working to deserve the recognition. These guys make a lot of current world leaders look like nuclear industry shills or cowards. In a joint statement, the four ministers from the non-nuclear countries said the "inherent risks and problems associated with the nuclear energy option remain and it can not therefore claim to be a clean alternative to fossil fuel use." The statement was made following a meeting on Monday, March 26, 2007. - Health and environment risks associated with nuclear energy reach beyond borders and governments in countries with nuclear power need to ensure that other countries' concerns are considered. - International liability protections for the nuclear industry do not provide full compensation for potential damage and injury and this constitutes a hidden subsidy, according to the ministers. 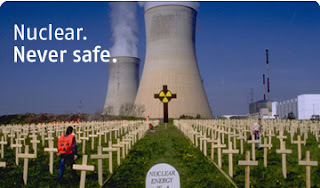 - The problem of nuclear waste remains intractable. There is no long-term solution. "…for Ireland, Iceland, Norway, and Austria, we voice serious concern that nuclear energy is being presented as a solution to climate change…It is our collective view that the current debate seeks to downplay the environmental, waste, proliferation, nuclear liability and safety issues and seeks to portray nuclear energy as a clean, safe and problem free response to climate change." - "Nuclear waste reprocessing…has long since lost its lustre and today the industry remains economically and environmentally untenable." This article represents the worst kind of journalism, Bill O’Reilly chicanery in print, an attempt to invent a controversy. 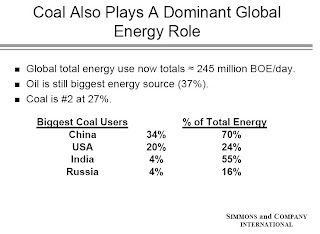 Its going to take every kind EROEI + energy to move ahead in the 21st century. 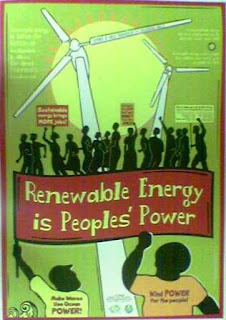 Advocates and critics of various forms of alternative energy. 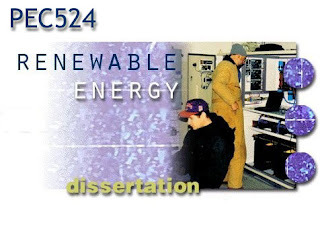 Alternative and renewable energies, contending for research and development grants and funds, comment on one another’s strengths and weaknesses. 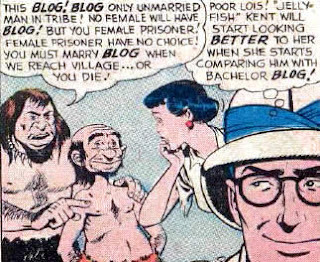 The article’s author attempts to make it sound controversial. On-going debates moving in the direction of enlightenment. Is it true, as the article suggests, that a gain for one technology is a loss for others? No. 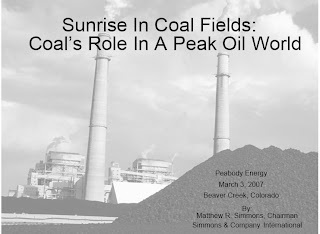 Solar energy is not, as one of the article’s quotes suggests, a “fraud” but it is still in development. Corn ethanol is probably of limited merit but second generation ethanol, called cellulosic, may have value and ethanol from animal waste may be the best kind. Though not perfected, rechargeable batteries for autos, in conjunction with the internal combustion engine, are available now and are the bridge to the future. Hydrogen is a fine fuel but expensive. The future will not be dominated by one fuel but will be the domain of many alternatives. Japan government long-term energy planners and 1.8 million Japanese citizens who have pledged to take six steps, such as turning off lights, to meet energy conservation goals. 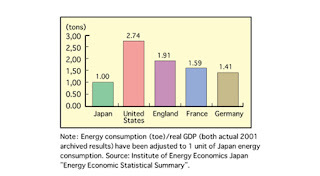 Japan's energy consumption as a percentage of gross domestic product is the lowest in the world. 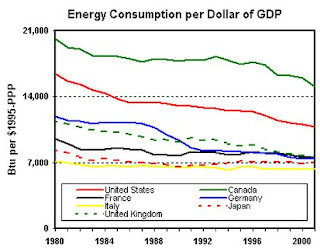 Japan has kept energy use down and kept the comforts of an affluent society. 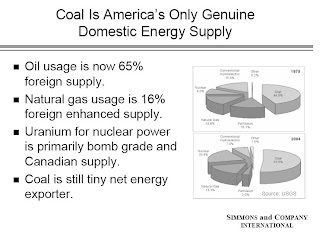 Per capita consumption of energy is nearly half that in the United States, but per capita incomes are comparable. Japan's economy is the world’s second largest. 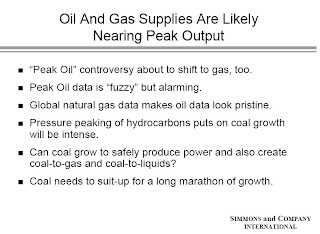 Japan has fully internalized the wisdom of restricting energy imports. Government campaigns for energy conservation are omnipresent. - "This is a problem of moral dimensions," said Japan's minister of environment, Masatoshi Wakabayashi. With a green feather in his lapel and a copy of Al Gore's book on his desk, Wakabayashi is a bureaucrat with a cause. "I think we are receiving the message that our mother earth is in crisis," he said. "We have a common consciousness of this fact." - There is a growing movement called "watashi no hashi" ("my chopsticks") that urges people to carry their own into restaurants so as to cut down on the waste of the disposable kind. - Takayuki Uedo, manager of the New and Renewable Energy Division of Japan's natural resources agency: "We are 20 years ahead of the EU countries." - Recommended investments: The ProFunds Oil & Gas UltraSector ProFund (largest holdings: Exxon Mobil, Chevron, ConocoPhillips, Schlumberger), Todco, Pride International, Gastar Exploration (in Fidelity Select Natural Gas Portfolio), PowerShares Dynamic Energy Exploration & Production Portfolio (containing Alon USA Energy, Western Refining, Rosetta Resources). Recommendations made March 24, 2007. For charts, click the link. The globe is warming, energy markets are heating up, gasoline stockpiles are declining, summer driving season is approaching, interest rates may moderate. Human beings may be causing the Earth to warm, but the inconvenient truth is that we are also causing the run-up in energy prices. Supporters and critics of wind energy, politicians, celebrities and locals, and Steve Christensen, owner of the mesa where the windmills would be erected. The controversy over a proposal to build about 50 windmills: Supporters say wind provides energy without negatives such as greenhouse gases that make for global warming, while critics say it delivers only a quarter of its promised energy while lethal to wildlife and a blight on the landscape. The San Gorgonio Pass, a blustery stretch of desert above the 10 Freeway two hours east of Los Angeles, where many of the world's first power-producing windmills were built, next to Santa Rosa and San Jacinto Mountains National Monument. - The wind energy industry, born in California, now has projects in 40 states and, in the last two years, $8 billion in investments. - San Gorgonio Pass is one of the windiest spots in North America. - Development on the squall-scoured mesa is reported to be impossible due to winds that would virtually destroy anything on site. - The 3,000 existing turbines produce enough energy to power almost 25,000 homes for a year, said California Energy Commission spokeswoman Amy Morgan. But that is a fraction of their advertised capacity. 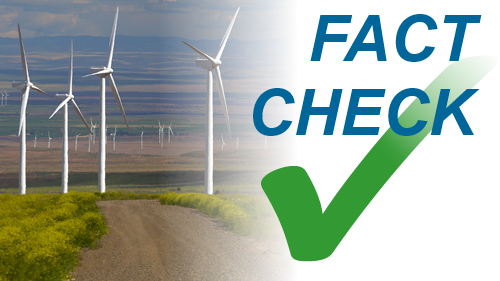 - Critics argue that wind projects subsidized with public funds ($93.8 million in subsidies from California ratepayers) deliver less power than advertised. In 2003, San Gorgonio wind farms claimed 413 megawatts of capacity but generated a quarter of that. (Advocates reference greater potential from newer machines.) 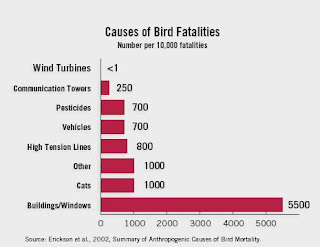 Among the negatives are accidents (turbines as big as minivans have caught fire in midair and crashed 200 feet to the earth), breakdowns (broken propeller blades), harm to wildlife ( hawks, eagles and songbirds have been ground up by turbines at other sites), objectionable noise and light (a ceaseless high-pitched whine from windmills and bright, revolving night lights) and loss of recreational lands. - Claude Kirby, a real estate agent for the Palm Springs office of the Bureau of Land Management, said he is proud of the leases he has for 1,224 turbines on 3,589 acres, netting the public annual rent of $640,610, adding, "I'd rather see wind turbines than black smoke from a coal plant." - …rich liberals are all for alternative power providing it doesn't mar their views. 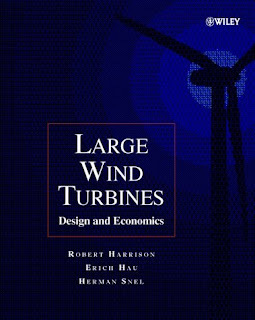 - "They're going to take a national monument … and turn it into an industrial slum," [homeowner Les] Starks shouted, his voice nearly drowned by blustery gusts as he eyed the stark mountain front soaring above Palm Springs…"They want to bulldoze that mesa, put in these enormous wind turbines … and make lots and lots of money." 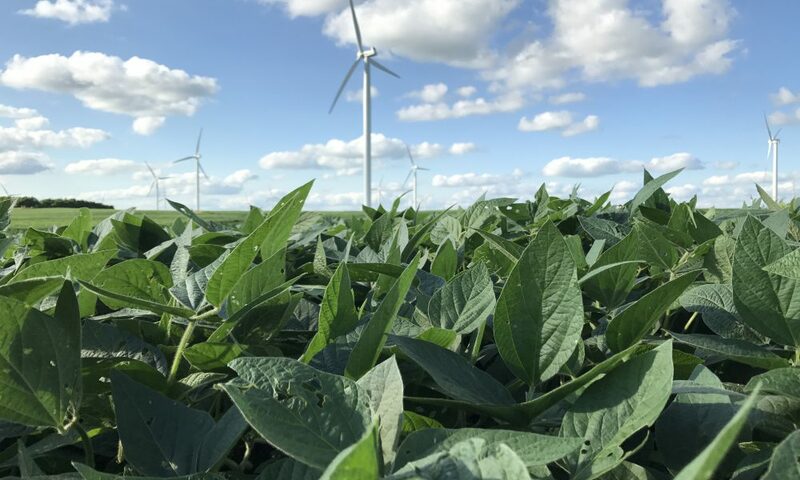 - "We've got windmills to the north of us, windmills to the east and west of us, windmills everywhere but to the south," [windmill installation landowner Steve Christensen] said. "Why are they picking us out?" - "You can build wind facilities in bad places," said Sierra Club Executive Director Carl Pope, a fan of wind energy who contends that a national monument is an inappropriate setting. The energy nobody likes to talk about. 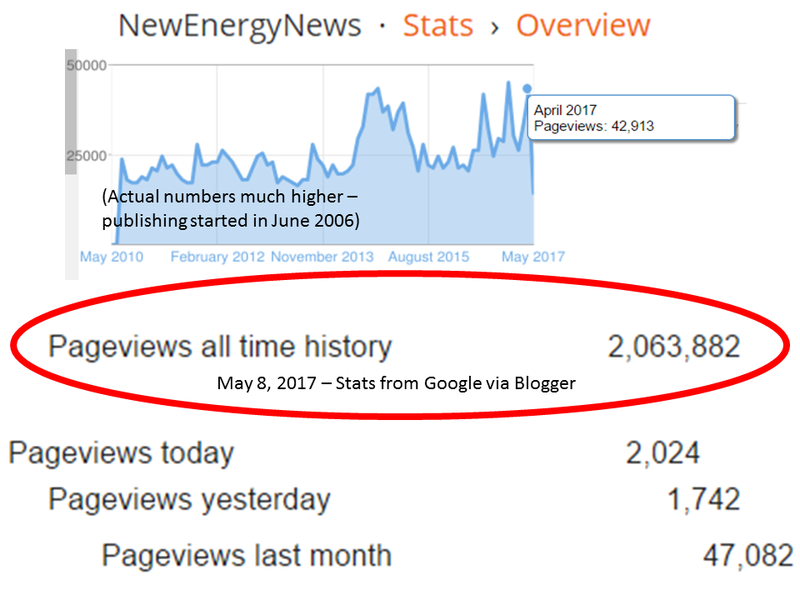 Fusion: Superenergy or eternally elusive? Maybe a congressional subcommittee will find out. 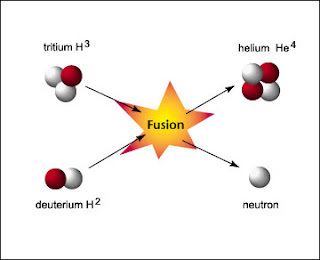 For the non-scientist, just remember there is a difference between fission and fusion. The congressional subcommittee is investigating claims of the university’s scientist to have generated nuclear fusion in a desktop experiment. Nuclear fusion, explained in detail here, is the coming together of atomic nuclei to propagate the release of energy, as is done by the sun when it releases heat and light. Extensive research has so far failed to do what Taleyarkhan claims, which is to have used sound waves to generate temperatures hot enough for hydrogen atoms to meld and release energy. Taleyarkhan began publishing the work in 2002. Extensive government funding has been expended attempting to validate the possibility of fusion. Published U.C.L.A. research argues that what Dr. Taleyarkhan took as evidence of fusion consisted of emissions from a piece of californium, a radioactive element stored in Dr. Taleyarkhan’s laboratory. A LeTourneau University researcher claims to have reproduced Dr. Taleyarkhan’s findings using the Purdue lab and equipment. Astonishing for USA Today to run a story with a picture of the President at a plug-in vehicle’s socket yet a headline about “flex-fuel”? No, the story comes from DETROIT. 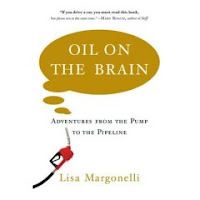 - The CEOs told the president that half the vehicles they manufacture will be compatible with E85 fuel, a blend of 15% gasoline and 85% ethanol, by 2012. 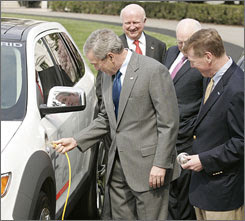 The meeting took place at the White House and was followed by photo-ops at a display of alternative fuel vehicles on the White House driveway. - The president's 20 in 10 plan would cut U.S. gasoline consumption 20% in 10 years by using more non-petroleum fuels such as ethanol, and boosting fuel economy standards. 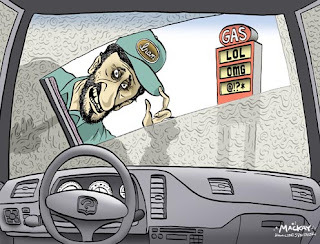 - Ethanol has less energy than gasoline, so vehicles get worse fuel economy running on E85. Federal fuel-economy regulations give automakers extra mileage credit for ethanol-compatible vehicles, called flexible-fuel vehicles, to help balance that. - Joan Claybrook, head of Public Citizen, says, "Automakers fool consumers into thinking they are helping the environment and lessening our dependency on foreign oil, while they manipulate the (fuel economy) loophole, avoid meeting federal fuel economy standards and laugh their way to the bank." - "We are absolutely on the edge of being able to move into a new era with flex-fuel, a lot of developments in batteries and hybrids," said GM CEO Rick Wagoner. "We ought to stick with that and play it hard. This is a real opportunity." Always wondered why the Middle East can't be "the Middle East of solar power"...maybe they don't have Arizona's ambition. 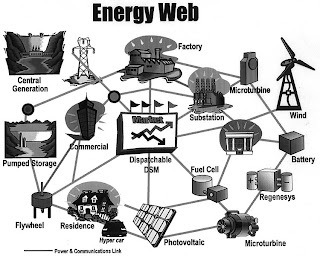 Arizona utilities, energy consumers, energy authorities and decision makers. The potential of Arizona to become "the Middle East of solar energy" by institution of legislation and financial incentives for the installation of every solar option, from business and residential photovoltaic installations as well as solar heating systems. 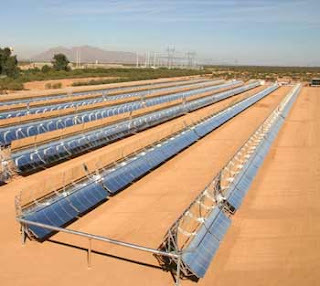 Additionally, the creation of such large scale resources as Arizona Public Service (APS) Co.’s solar energy plant northwest of Tucson, a 14-acre, $6 million plant which will produce 1.3 megawatts (enough to supply 200 to 250 homes) with six rows of parabolic mirrors to track the sun, concentrate sunlight on steel tubes, and heat mineral oil in the tubes to 600 degrees Fahrenheit which heats a second fluid that vaporizes, producing steam to spin an electric turbine. And Tucson Electric Power Co.’s 2.4-megawatt solar facility near its coal-fired plant in Springerville. Presently developing. By 2025, APS plans to get up to 15 percent of its power from solar, wind and other renewable sources. Across the sun-drenched state of Arizona. - Arizona is widely touted as the sunniest state in the nation although solar energy accounts for less than 1 percent of its commercial power. - "The world is moving toward a place where there will be a tax on pollutants, taxes that get passed onto the customer," [Valerie Rauluk, a member of the Tucson-Pima Metropolitan Energy Commission] said. "We are going to have to pay one way or the other. But by aggressively going heavily into solar energy, we are providing a hedge against those rising prices of the future." - For Arizona to go solar, government incentives would be necessary, said Colleen Crowninshield, coordinator of the Clean Cities program for Pima County. 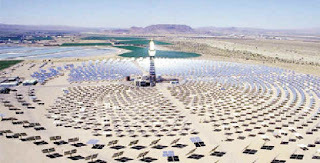 - "The solar-energy industry is ready to do it," said Valerie Rauluk, a member of the Tucson-Pima Metropolitan Energy Commission. "We are just waiting to get those rules in place…One way is with a solar farm and another is to put solar panels on the roofs of large building such as Wal-Marts and Home Depots," Rauluk said. "Such installations would substantially cut fossil-fuel energy consumption and help those customers shave peak power needs." Not waiting for conditions to be right in Iraq? Or not expecting conditions to be right? Ashti Hawrami, energy minster of the Kurdistan Regional Government. The Kurdistan Regional Government has signed contracts to develop the large oil reserves it has and will sign more deals with international oil companies, regardless of the status of Iraq's draft hydrocarbons law. 5 contracts signed, 10 more to be developed by the end of the year. Best case, the Iraq law will be approved by end of May. The semi-autonomous northern Iraq region of Kurdistan. Iraq's draft hydrocarbons law hasn't been taken up by the Parliament yet, and there are some tough issues still to be addressed which could stall the draft law's approval. If it is, it would detail how international companies could invest in Iraq's 115 billion barrels of proven reserves, the third most in the world. But the security conditions in Iraq would need to be improved before any people or capital is put on the ground in Iraq. Aside from the oil pipeline from Kirkuk, in Iraq's north, to ports in Turkey, which is attacked so much it is offline more than operational, Kurdistan has been relatively free of violence. "We are in discussions with a number of other companies," Hawrami said. "It is more likely that the contractors will come (to Kurdistan) to start with and set up a base to hopefully then invest in the rest of Iraq." There must be a grant for this somewhere! A group of Virginia Tech engineering students; Getongoroma, a remote southwestern Kenyan village; Rev. Thorney Kirk, an independent minister; Virginia Tech academic adviser Uri Vandsburger and Virginia Tech graduate student advisor Mark Showalter. To make things like taking X-rays and refrigerating vaccines at the Kenyan clinic possible, Virginia Tech engineering students have created a prototype system designed to provide about 24 kilowatt hours of solar energy daily (it needs about 18 kilowatt hours daily to function). Solar panels would absorb sunlight during the day, convert it to electricity, store it in batteries and distribute it through a breaker box and outlets in the clinic walls. The students need about $120,000 to build and ship the equipment to Kenya. Funding requests have been turned down. The clinic in Getongoroma is about an hour from the nearest power grid. Its only electricity comes from small solar panels that power a few light bulbs so patients can be treated at night. The Rev. Thorney Kirk, an independent minister, has been coordinating efforts between Tech and the clinic to create more power. "You can look at the numbers and get an idea of what kind of an impact you're going to have," said Garrett Bradley, one of the students who made the trip. "But when you actually see people's faces and talk to people and see the smiles on people's faces, you realize it's real life." 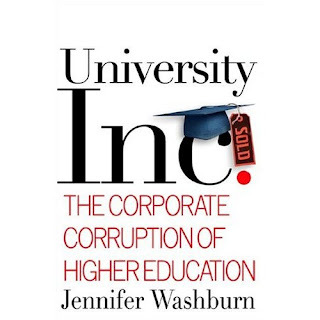 UNIV OF CALIF: UNETHICAL AMBITIONS? A $500 million, 10 year grant from BP to fund a new multidisciplinary Energy Biosciences Institute, principally for biofuels research. - Cal and other universities are increasingly desperate for research dollars. Cal and the University of Illinois and took the BP money even though it means allowing 50 BP scientists to work with academic scientists on their campuses in private labs where all the research would be proprietary and confidential. BP will influence the selection of the director and other high-level positions and, therefore, have leverage over research agendas and funding allocations to 25 labs across many departments. Unlike other university researchers, the 50 BP scientists will have no obligation to publish their work. The universities must share intellectual property rights and commercial licenses with BP. All this raises questions of intellectual integrity. - Robert Reich, former secretary of labor and now a professor of public policy at Berkeley, has warned that — because of its size and commercial scope — the BP alliance could be either "a huge feather in Berkeley's cap or a huge noose around Berkeley's neck." - UC President Robert Dynes: "It is my belief," he said, "that we are reinventing the research university in this public-private partnership." Greenpeace Germany's energy expert Andree Boehling. Germany could abandon nuclear energy more quickly than planned and still achieve a 40-percent cut in carbon dioxide emissions. If all nuclear power stations were closed by 2015, instead of the planned date of 2020, Germany could still reduce its CO2 emissions by 40 percent. Germany. The plan is a potential model for other EU countries. 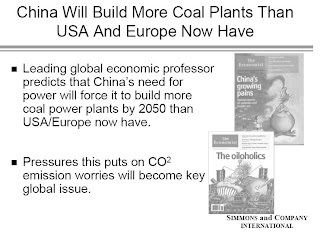 - Shutting down the country's nuclear plants would indirectly have a positive effect on emissions by encouraging the energy industry to develop new technology. - Germany could achieve the reduction by using renewable energy to generate one fifth of its heating needs and one third of its electricity by 2020. "There can be no more excuses, a 40-percent cut by 2020 is achievable," said Greenpeace Germany's energy expert Andree Boehling. Unfortunate circumstance or sordid conspiracy? Either way, we gotta get off oil. Oil traders and consumers, Iranian and British navies. Crude oil jumped above $62 a barrel and gasoline prices surged to a seven-month high in New York after Iran seized 15 British naval personnel. Hostages were taken Friday, March 23, 2007. Prices jumped on the NewYork Merchantile Exchange. 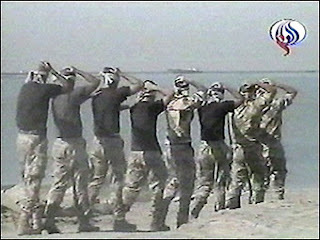 The British sailors were taken in the Persian Gulf along the disputed line between Iranian and Iraqi territory. Increased tension in the Persian Gulf threatens the availability of crude supplies. Tom Bentz, an oil broker with BNP Paribas in New York: "Worries that Iran would take oil off the market because of the nuclear dispute have been pushing prices higher for a while now. We are in a world that can't afford to have any supply taken off the market."